McNicol’s Puppets waste £10,000 of Member’s Money - How Long is Momentum and Lansman going to remain silent? 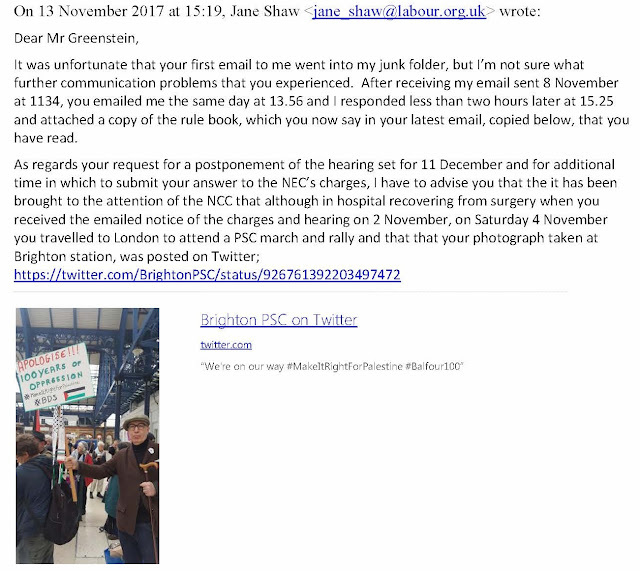 On November 2nd whilst recovering from surgery in hospital, I received an email from Jane Shaw, Secretary to Labour’s nominally independent National Constitutional Committee, which is still controlled by the Progress Right, informing me that I was being summoned to face over 50 separate charges at a disciplinary hearing on December 11th. I was given till December 1st to prepare my response to a 189 page bundle. The allegations were of ‘anti-Semitism’ i.e. 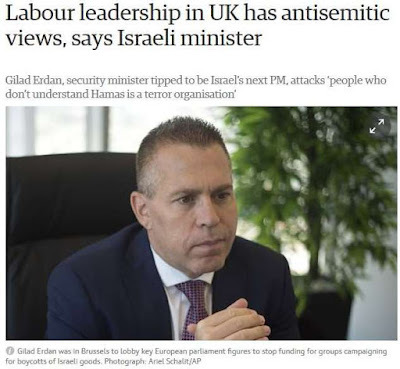 criticism of Israel and its supporters in the Labour Party. Being in hospital I thought it would be a slam dunk to get the hearing postponed. After all, even McNicol’ bastards aren’t so callous that they would expect someone recovering from major surgery to begin defending themselves against their false potpourri of allegations and the miasma of innuendo. I had however underestimated the basic rottenness of McNicol’s helpers. The determination of the Right of the Party to expel me and others by the use of the false ‘anti-Semitism smears will not be deterred by such trifles as being disabled, ill or otherwise. Labour’s witchhunters are determined to extract their pound of flesh. I was suspended on March 18th 2016. This was followed on April 2nd by leaks to the Telegraph and The Times concerning the very details of my case which had been denied to me. The nothing happened, for 17 long months. It was as if I was on permanent suspension. Another suspended member was told that 'every effort will be made to accommodate you according to your availability"
Sam Matthews, the dessicated apparatchik who heads the Disputes Committee had ‘auto-excluded’ Professor Machover at the beginning of October provoking a furious reaction amongst members. Matthews had ballsed up big time. He hadn’t realised that Moshe is a well known and distinguished academic whereas apparatchiks like him and Jane Shaw find it difficult to string a sentence together. Labour Party headquarters are a bastion of the anti-intellectual. They despise free and critical thought and are determined to confine political debate in the party to narrow channels and ‘safe spaces’. The result was that by the end of the month Matthews, Ann Black and the Disputes Committee, tail between their legs, had been forced to readmit Moshe. They were determined to take their revenge. Sure enough they leaked to the Jewish Chronicle of 31st October that Jackie Walker, Marc Wadsworth and myself were shortly going to be facing an expulsion hearing by the National Constitutional Committee, a nominally independent Committee under the iron grip of McNicol. Sure enough on November 2nd I received an email telling me I would shortly be up b4 McNicol’s National Kangaroo Court. Since I had been suspended for 20 months and it had been 17 months since my Investigation hearing I found it difficult to believe they would object to giving me a reasonable extension of time to consider their voluminous bundle of false allegations, tittle tattle, social media tedium and other material, much of which was gathered unlawfully. 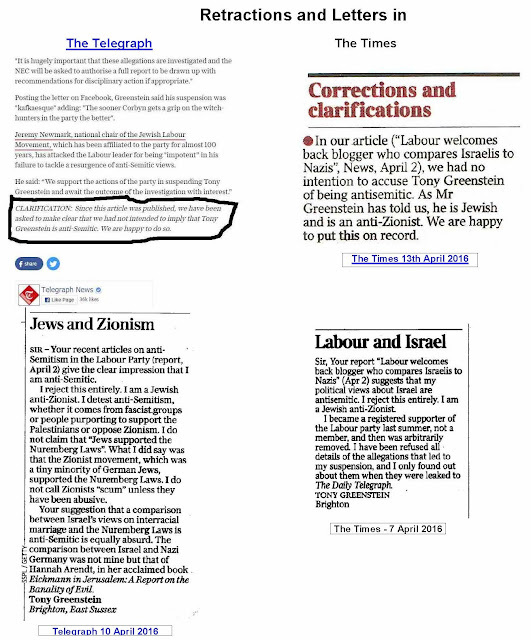 Imagine my surprise when I received a response which stated that since I had been photographed on a Palestine demonstration on November 4th, the day after coming out of hospital, I would have to provide medical evidence. These people at the top of the Labour Party have the mentality of DWP snoops, trying to catch you out. They have the mentality of the Stasi without possessing the brains. Nonetheless I sent in the medical evidence assuming that I would be granted an extension only to be met with a refusal. No reason was given of course because these bureaucrats are not used to having justify their decisions. I was determined to force these pen pushers into doing so even if it meant dragging McNicol’s minions into a court of law. 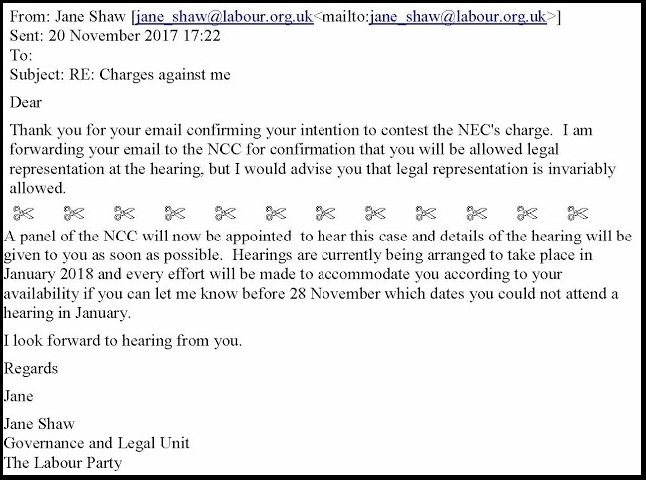 In the meantime another suspended Labour Party member sent me a copy of a letter from the same Jane Shaw asking him for dates when he would be available and saying that they would do their best to accommodate his wishes. Clearly I was being treated differently. 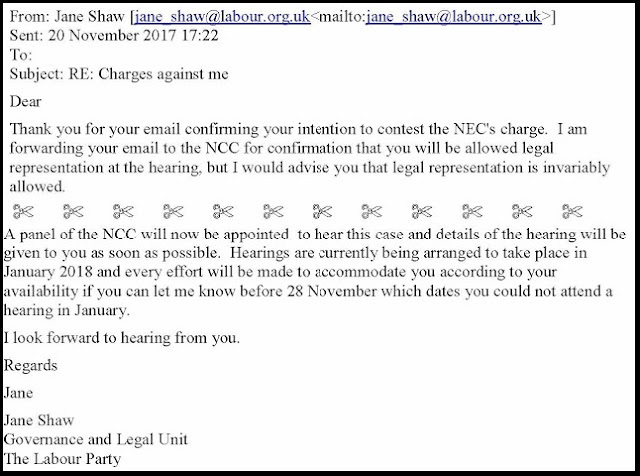 When I wrote to Ms Shaw all she would say was that she wouldn’t discuss another member’s details with a 3rd party when she knew very well that that wasn’t what I was asking. Finally I decided that the last thing I was going to get from the McNicol’s monkeys was a straight answer. These are the people who brought you extraordinary rendition, imprisonment without trial, control orders and attacks on benefit claimants. They don’t have a socialist bone in their bodies. If you mentioned fairness or natural justice to them the chances are they would refer you to a psychiatrist. Perhaps this was best evidenced in the disappearing Chakrabarti Report. Commissioned by Jeremy Corbyn in April 2016 it reported in June 2016 and made a number of recommendations in respect of fairness and natural justice in the Labour Party. It has been completely ignored by the NCC, McNicol and Anne Black’s Disputes Committee. 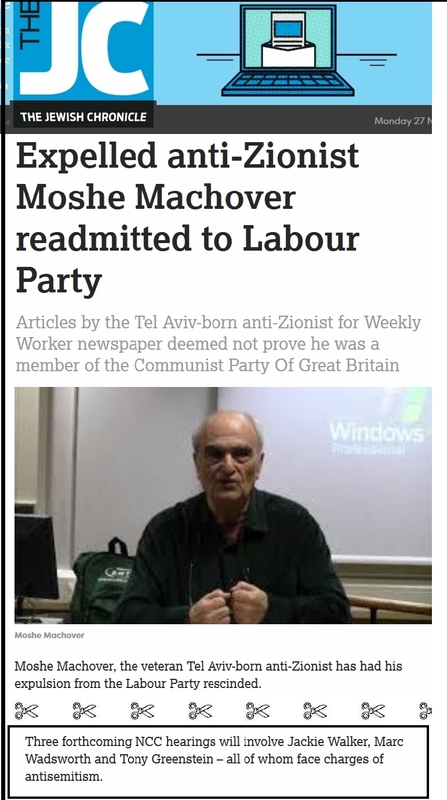 It has also recently disappeared off the Labour Party’s web site altogether although I have put it back on the web. In the end I was forced submit, just over a week ago, an application to the High Court for an Injunction preventing McNicol’s pawns from refusing to operate a system of natural justice. I have to confess that despite having a law degree and Legal Practice Certificate it’s a number of years since I had done this stuff. For a start nearly all my experience was in employment law and I hadn’t practised that for 5 years since I retired because of ill health. Civil litigation was never my field. I have only ever once applied, successfully, for an injunction and that was about 10 years ago against a landlord trying to evict a tenant unlawfully. 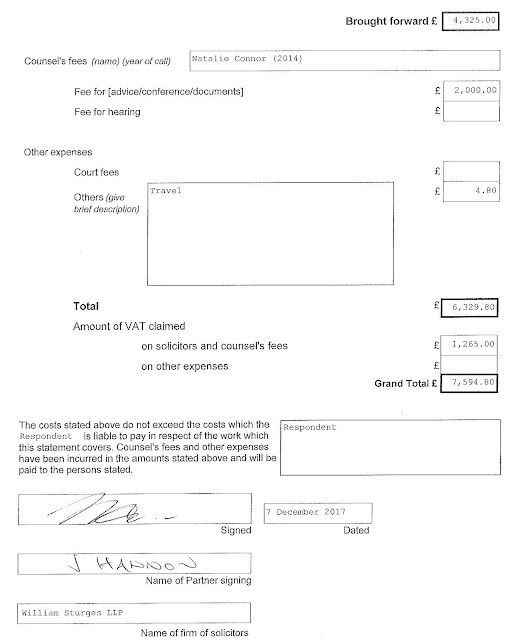 However with a bit of searching, googling and asking for help I was able to put in the Application Notice, a witness statement, claim form, injunction form and particulars of claim. My thanks in particular go to Mark MacDonald QC, who was Jeremy Corbyn’s solicitor when McNicol was trying to stop him restanding for leadership of the Labour Party. He was brilliant. As well as being a top criminal barrister, who is currently representing Michael Stone in the Court of Appeal, he is politically committed. I am really grateful to Mark for holding my hand throughout the process and giving me the confidence to go ahead with the application. 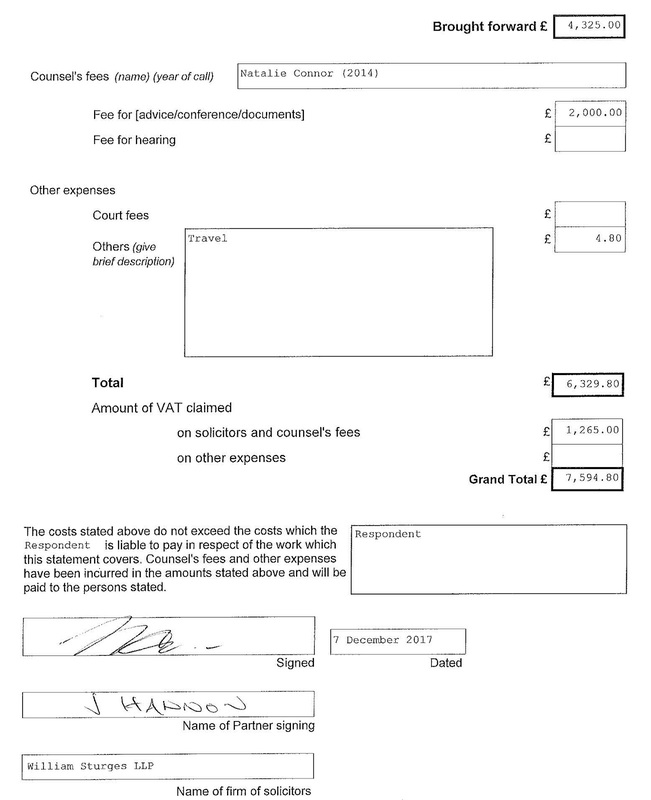 Especially since a number of people, including a solicitor, had told me that I didn’t have a case since the Labour Party was an unincorporated organisation. 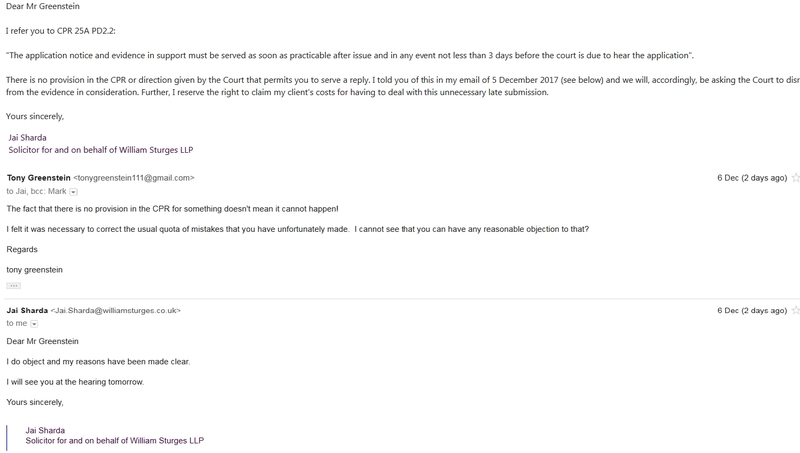 It was Mark who encouraged me to go ahead and suggested a tactical approach which cut through the stratagems of McNicol’s favourite solicitors. Today I got up having overslept dashed to the station, missed the train and thus missed meeting with Mark! However we chatted on the phone and Mark suggested how I should approach matters before the judge. I also had a panic attack as I thought I’d forgotten my witness statement! 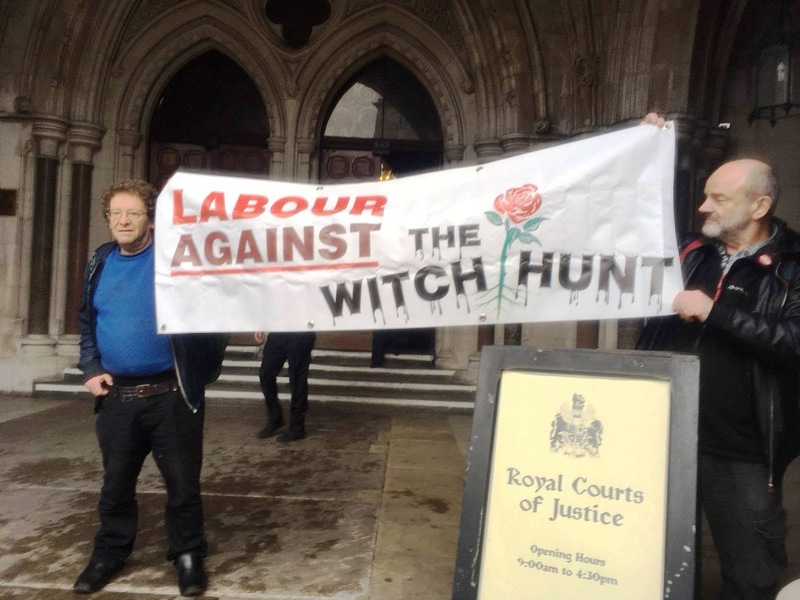 I met up with Stan Keable, Secretary of Labour Against the Witchhunt for a photo op outside the Royal Courts of Justice. Anyone who has ever been to the Royal Courts of Justice in The Strand knows it is a rabbit warren, which has gone largely unchanged since the 18th century! It has all the feel of Bleak House about it. Last week I visited the Personal Support Unit, based on the first floor. It is a charity established to help people like me, litigants in person. It helped run off an Application Notice which I then filed by email to the Listings Office. I had to go between the fees office, since I qualified for a fee waiver (seeking an injunction cost no less than £698) I paid nothing and Listings. The staff are very friendly but the process is very cumbersome. Only the most determined refuse to be put off. However because so many people are litigants in person now, because of the virtual abolition of legal aid, systems have had to be developed to help litigants in person. Mark told me that litigants in person were every judge’s nightmare because unlike counsel they have to be guided through procedure, find it difficult to keep up with the arcane terminology, forms etc and have difficulty assimilating things like precedent, pleadings etc. Even with a legal background I found it quite intimidating. We were based in Court 37 in Westgreen building and there we filed to await Judge Phillips. Outside I met Jai Sharda who having formally greeted me didn’t seem to want to talk about my response to his witness statement! He abruptly got up and left, which was just as well since I needed somewhere to sit down! Court 37 seems to be quite a place. It’s next to the Listings Office. People with a grudge or a grievance come there and let you know their problems. Today it was an old woman who was unhappy about how she had been treated. When I filed the application last Tuesday I applied for an ex-parte injunction, which was not granted (it means without notice to the other side). 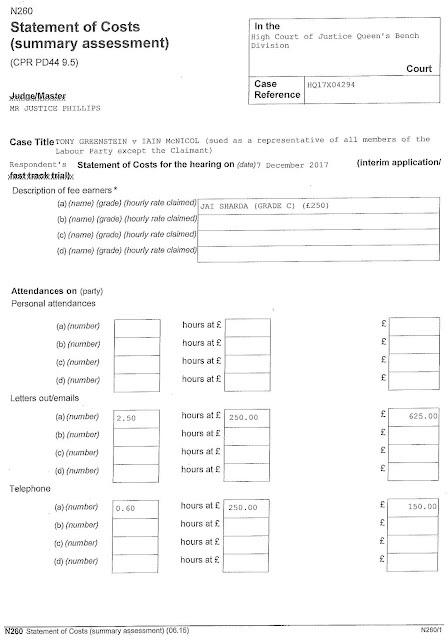 I was told I had to do this, though I still don’t quite know why, before it could be listed for a hearing. 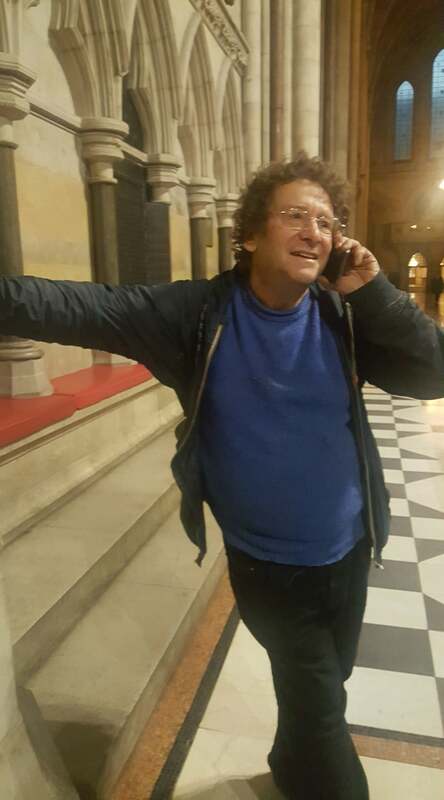 Before I had applied there was an extraordinary scene inside the court where a group of people refused to leave and insisted on justice for some grievance that they had. They were led by one man who was quite articulate but quite offensive to court staff . I never did get to the bottom of it, but they clearly felt very sore about something or other and in the end the Police came to evict them! Such are the day to day travails of Court 37! Today was uneventful. I made my application and then the Labour Party’s expensive barrister, Natalie Connor, responded. What clearly irked the Judge, who was impeccably fair, was the fact that there was a 20 month suspension and yet here the Labour Party was trying to get rid of me as quickly as possible. Ms Connor couldn’t explain it. She found it difficult to explain the reasoning of the Labour Party bureaucrats who had denied me. Indeed what was remarkable was that in all their pleadings – the witness statement and the skeleton argument – they never once mentioned the central element of my application, my lengthy suspension and the large bundle. Instead they said I had complied with the time limits by submitting what they called ‘a comprehensive response’. I termed this flattery since my 29 pages was but a trifle! But first I dealt with the outrageous comments of Ms Connor to the effect that since I was unemployed I sit around all day blogging and writing annoying emails to the Labour Party. I had plenty of time therefore to make a submission and in any case I had! After having pointed out that I had retired through ill health, that I was disabled and had child care and other tasks, Ms Connor was left squirming. I just hope that the Labour Party doesn’t employ such reactionary, anti-claimant legal sharks again. But there again, there is nothing that the representatives of McNicol won’t say to get him off the hook. Whilst not granting my request to postpone the hearing until 1st February I did get an extension till the 8th of January. 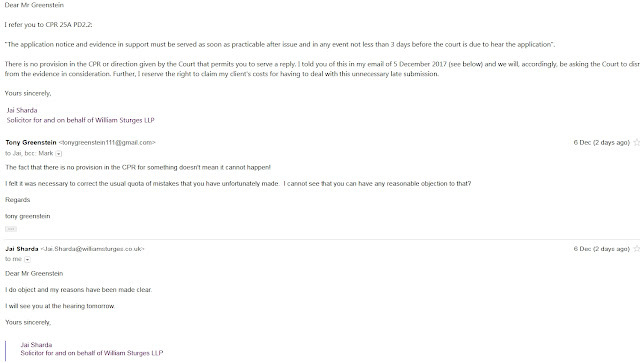 What was particularly telling was that I had in my possession an email sent to another suspended member in which Jane Shaw said they would make every effort to accommodate them in terms of dates whereas in my case I was given one fixed date and that was it. A very sweet and satisfactory result therefore against the Labour Party machine. However it doesn’t excuse those on the Left of the National Executive Committee – Peter Willsman, Darren Williams, Rhea Wolfson, Christine Shawcroft etc. who have not responded to my emails and have effectively allowed McNicol to do as he wants. They don’t seem to understand that McNicol’s witch hunt is carried out on behalf of the Right to try and stop socialists advancing in the Labour Party. The last bastion of the Right is McNicol’s minions and the Left on the NEC are failing to hold them to account. 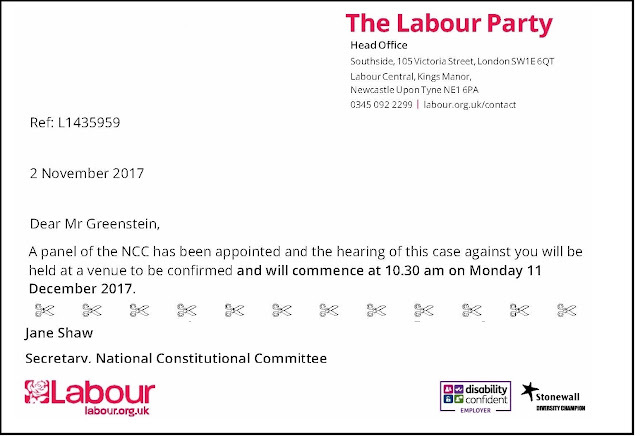 One can only hope that things change now that there is a left majority on the NEC but since Lansman has failed to use Momentum to mobilise against the witch hunt to date we should not hold our breath. 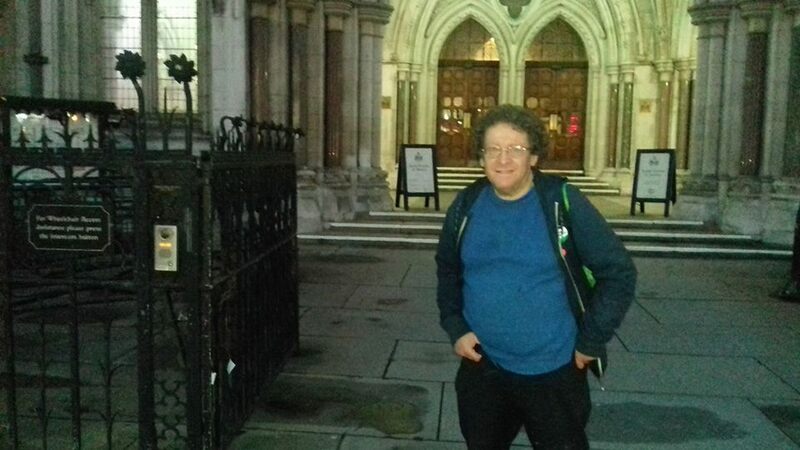 Just today I learnt that a young working class activist in Brighton, a tireless campaigner for the homeless, Daniel Harris has been suspended from the Labour Party for, yes you guessed it, anti-Semitism! It’s very strange because anti-gypsy/Roma racism is 8 times as high in Britain as anti-Semitism, and Islamaphobia is about 6 times as high but we never hear about people being suspended for this racism. McNicol and his friends have no objection to state racism or real racism against real people. It’s only when the ‘racism’ concerns the State of Israel that they are concerned. Jews in this society are not oppressed. There is no state racism against Jews. It is the anti-racism of the Right. The new anti-communism. Also my thanks to both Stan Keable of LAW and Elleane Green for coming to support me.